Why study history at postgraduate level? What do the expert commentators say? Here at Kingston University the History team often point our applicants to a range of sources which explain the huge benefits of postgraduate history, either at taught-course level or via masters research. One good example of such a source is BBC History magazine which, back in October, 2015, contained a very handy supplement on expert advice, practical tips and inspiration for students ‘hoping to plan a future based on the past’. This remains highly relevant today, especially if you are thinking of applying to study history with us. When it comes to careers with history as your skills-set, the supplement provided some truly great details on how an undergraduate or postgraduate degree in history can lead to all manner of careers, and it listed some famous celebrity graduates in the UK to illustrate the point. From the world of the media, such history graduates have included the broadcaster Jonathan Ross, who studied Modern European History at the University of London, and radio presenter Simon Mayo, who graduated from Warwick University with a degree in History and Politics. From the world of literature, another history graduate is the writer Penelope Lively, who found tremendous success as a writer of books for children and then of more general novels. Her best-selling novels have included Moon Tiger, which won the prestigious Booker Prize in 1987. The acting world has a famous history graduate in the shape of the comedian and writer Sacha Baron Cohen (recently on our TV screens in Who Is America?, a critical satire on rightwing politicians in the USA) , who graduated from Cambridge Uni in 1993 with a degree in History. The Golden-Globe winner and Oscar-nominated actor has since become one of Britain’s best-known comics, whose creations have included Ali G and Borat. And the world of British politics has witnessed numerous examples of history graduates rising through the ranks, including even to the top job of British Prime Minister: former PM Gordon Brown graduated from the University of Edinburgh with a First-Class degree in History, and then stayed at the same institution to complete a postgraduate PhD in History ten years later, titled ‘The Labour Party and Political Change in Scotland 1918-29’. Another section in the BBC History magazine supplement contained a fascinating short article by Dr. Anna Whitelock, of Royal Holloway, University of London, on the role of the historian today, and the new challenges and opportunities of the digital age. Her points were real food for thought for anybody contemplating studying history at postgraduate level, including here at Kingston. As Dr. Whitelock commented in her opening line: ‘Has there ever been a better or more important time to study history? The past is alive, dynamic, controversial and hugely relevant’. She went on to argue that history is constantly being written and rewritten, contested and reinterpreted. Moreover, history is more than just studying the past – it is also about ‘critically engaging with the present and future’. Furthermore, in her estimation, a history degree (whether at undergrad or postgrad level) is not just for those who want to be professional historians – ‘it is for anyone who is curious about the world around them and who wants to be a critically engaged citizen’. Dr. Whitelock also pointed out that a history training can lead to a career in law, business, publishing, heritage, teaching, media or politics, but it is ‘equally valuable for those wanting to become an artist, author, actor or even a computer game designer’. Significantly, according to Whitelock, the digital age has brought many new opportunities for historians in the 21st century, ‘opening up archives online, digitising documents and allowing the study of far-flung archives from home’. That said, she also reminded us that ‘there is nothing better’ than visiting an archive and touching documents, and studying history can give access to ‘this vast treasure trove’. I couldn’t agree more! Here at Kingston Uni, we love to encourage original research. We have, for example, all the tremendous benefits of The National Archives (TNA) very close to us, just a bus ride away at Kew. And those students who might choose to embark on studying history at postgraduate level will have exciting opportunities to do this via a dissertation of their choice. 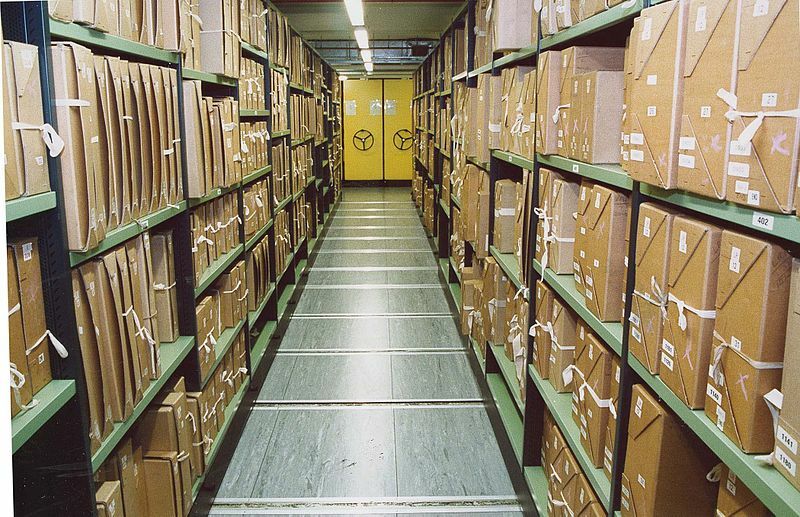 Studying history, Whitelock argued, also ‘requires students to consider what the archives of today will consist of for future generations of historians’. This is because there has been a revolution in communication, with tweets, texts, and e-mails rapidly replacing ‘traditional’ forms of contacts, such as hard-copy letters. Dr. Whitelock then offered a nicely succinct summary of the dilemmas and challenges faced by historians today in the light of these rapid changes: the key questions, she wrote, are this: what should be preserved? How? By whom? And for whom? Here at Kingston Uni, we actively encourage our students to think critically about all these types of questions and challenges, and more! Our History MA has a core module on ‘Doing History’, while students can choose other options from choices in the study of 20th century Britain, the study of international history, or the impact of the 18th century on British history, culture and society. We also run an exciting staff and student talks and events programme called Cultural Histories at Kingston, where guest speakers from Kingston or from ouside institutions deliver individual talks or participate in round-table discussions and debates. This entry was posted in Archives, Blogging, British history, European History, Events, Gender History, Kingston, Kingston University, LGBT History, Local History, Media history, Public History, Research, Study Skills, Teaching, The National Archives, Uncategorized, World History and tagged Archives, Heritage, history, Kingston, Kingston University, Memory, postgraduate study, Public History, World History. Bookmark the permalink.